In 2013, Paradise Garage Racing won the "Best New Club" award for good reasons. 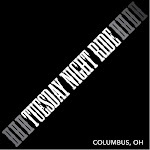 The Columbus, Ohio group recruited 28 riders who were new to the sport, helped newbies through indoor trainer rides and road 101 sessions, played a role in organizing the local series Cap City Cross, and conducted trail work on the Alum Creek mountain bike trails. Additionally, the club offers a very welcoming atmosphere for new cyclists. With intro sessions, and no shortage of experienced riders to serve as mentors, the group is proud to welcome many first time racers on its group rides.